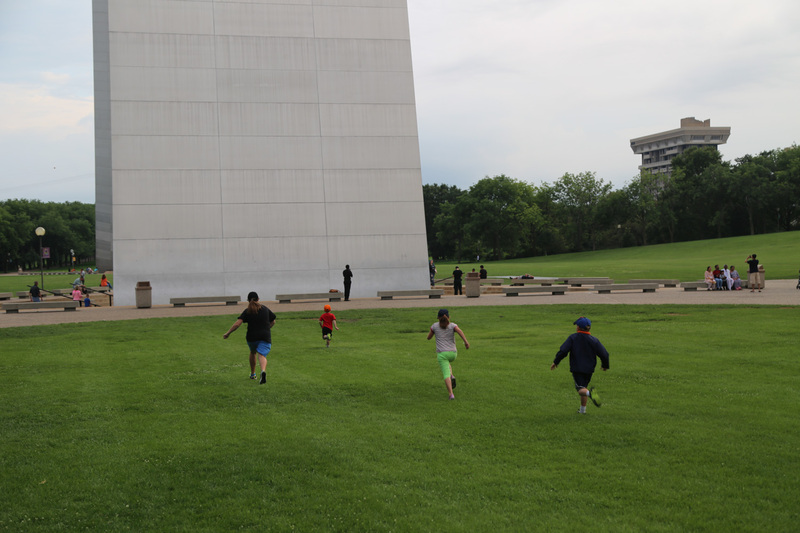 The Gateway Arch… truly a gem in St. Louis. 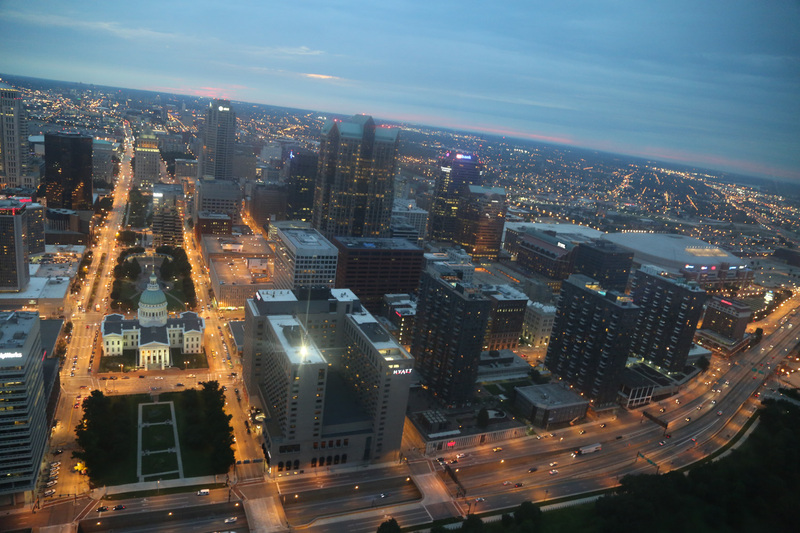 With 630 feet of beauty, it boasts a spectacular view of St. Louis to the west and the Mississippi River and western Illinois to the east. 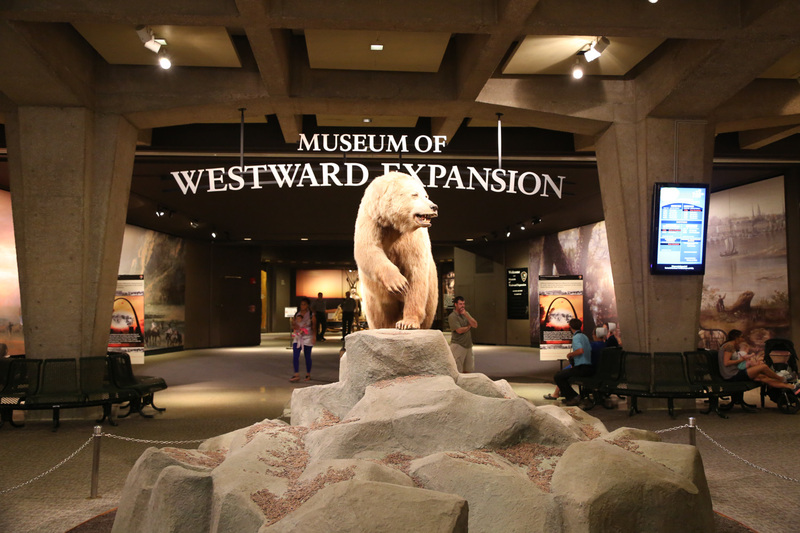 The arch is a symbol of the westward expansion. 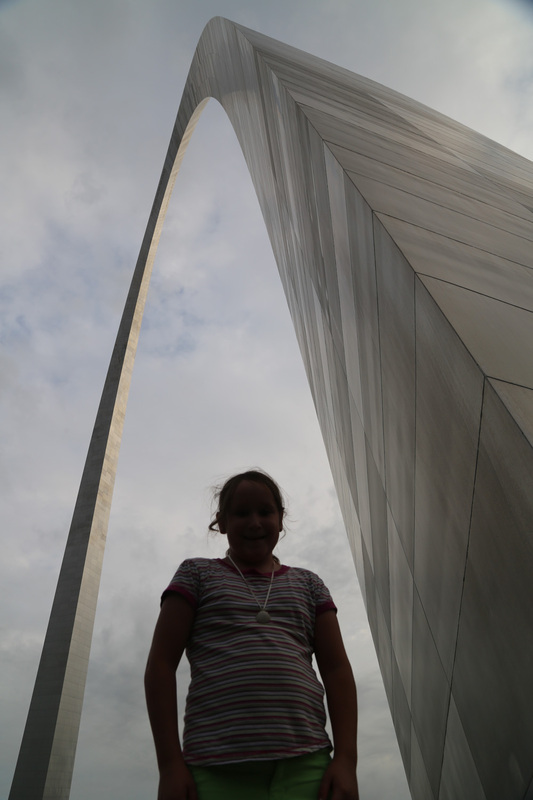 After seeing the massive landmark, the kids BEGGED to take the tram to the top of the arch. Because we used our National Parks Pass, we were able to get in for a discounted price. 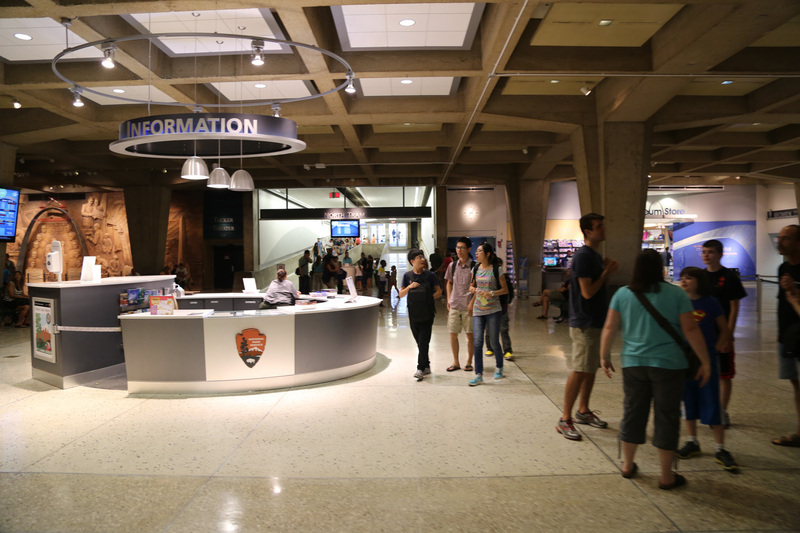 We had about an hour until our tour began, so we took our time going through the museum and gift shop below the arch. 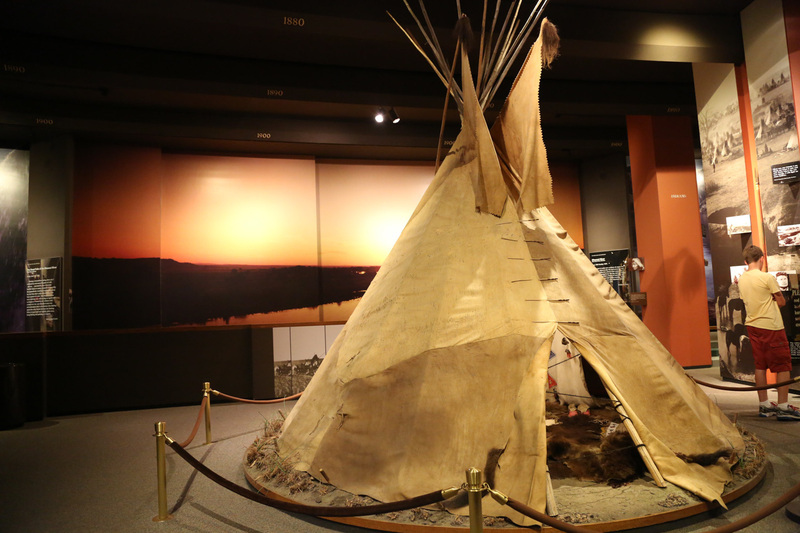 It was truly an educational experience for the kids. Be aware, the younger kids began to get bored with the museum after about 30 minutes while Brian and the older kids wanted to stay longer. 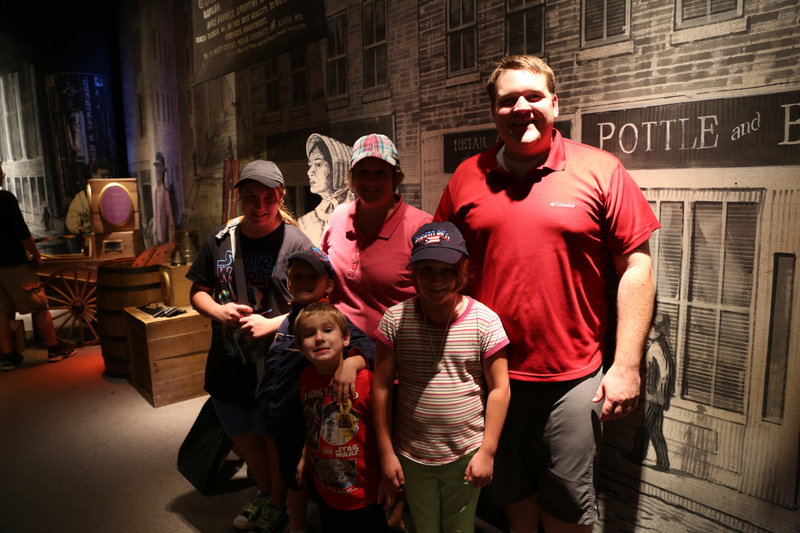 As we were preparing to board the tram, we entered an interactive play area where the kids could burn off some energy while standing in line and learn more about the westward expansion. After a short time, we were able to climb the stairs to the tram doors. Each trams holds up to five or six people. 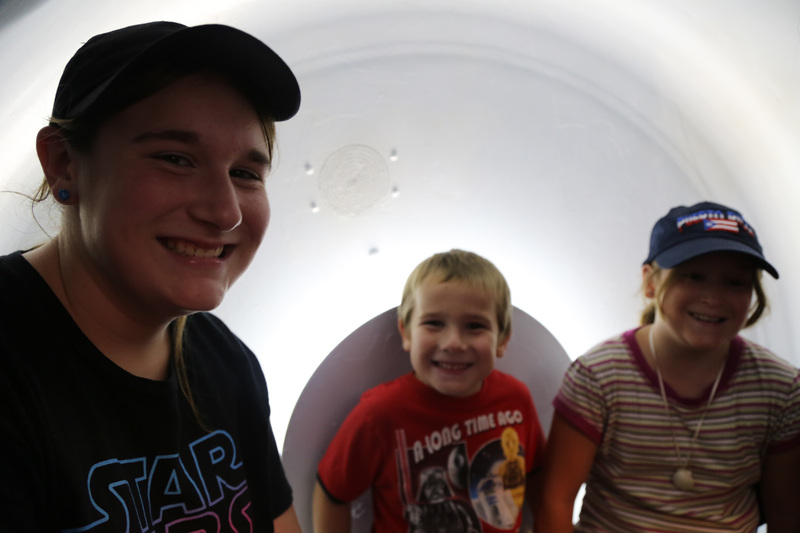 They have an elevator-car set up next to the ticket booth where your group can test to make sure they fit. The ride to the top takes about four minutes. 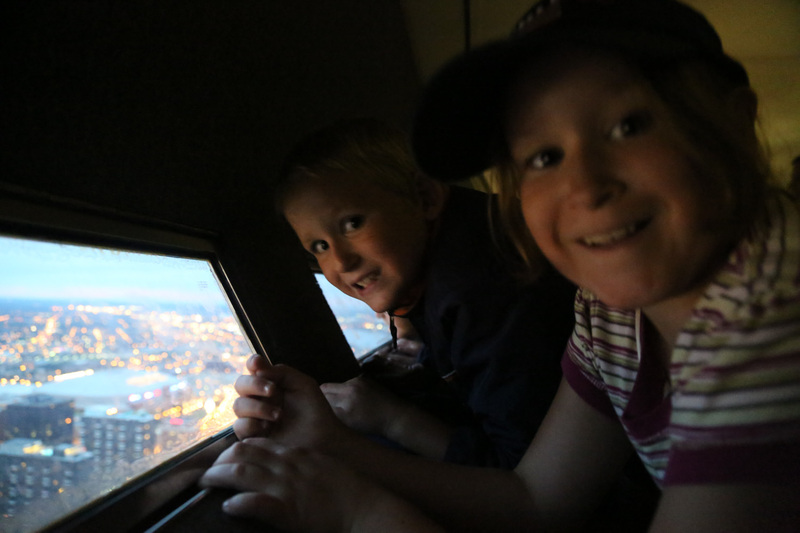 The kids had a great time looking out the window of the tram door and seeing the bottom of the arch disappear below us. I’m not generally afraid of heights, but I could see how anyone with a fear might be disturbed. 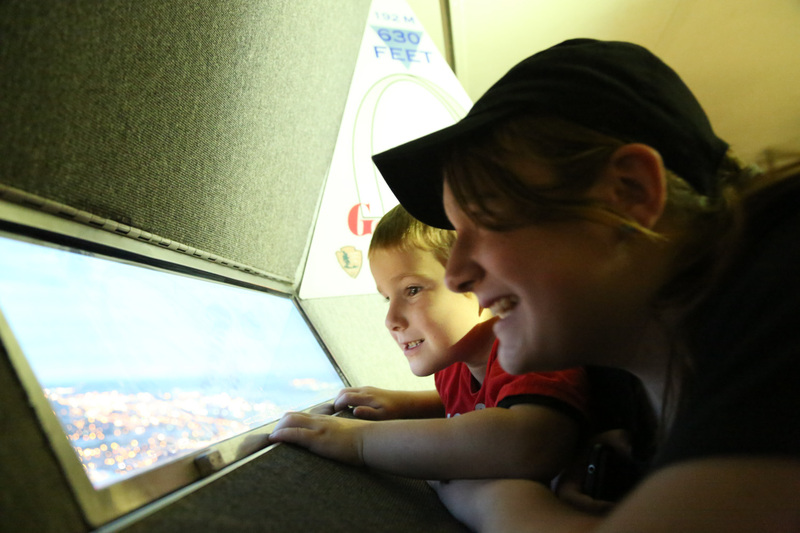 Once at the top, we were able to get a better view of the Mississippi River and St. Louis. In fact, there was a baseball game in town- Cubs vs. Cardinals. The kids couldn’t get over how clearly they could see the game. 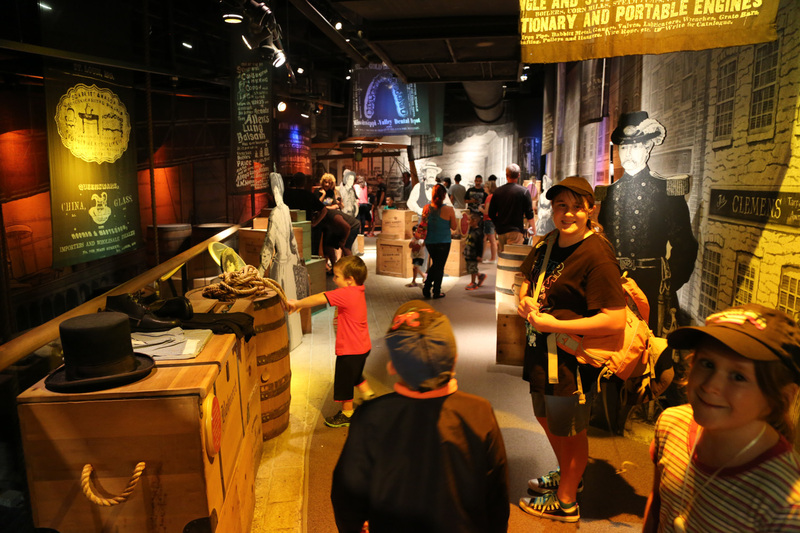 They enjoyed walking around, switching back and forth at the different views. We were up there for almost an hour. You can come down whenever you like. Once we were done, we boarded the tram to return to the museum. 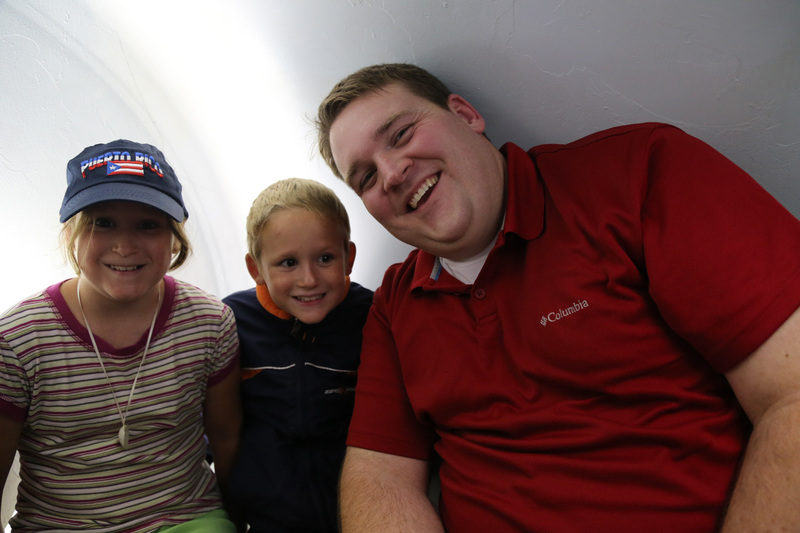 The kids enjoyed going down as much as they enjoyed going up! 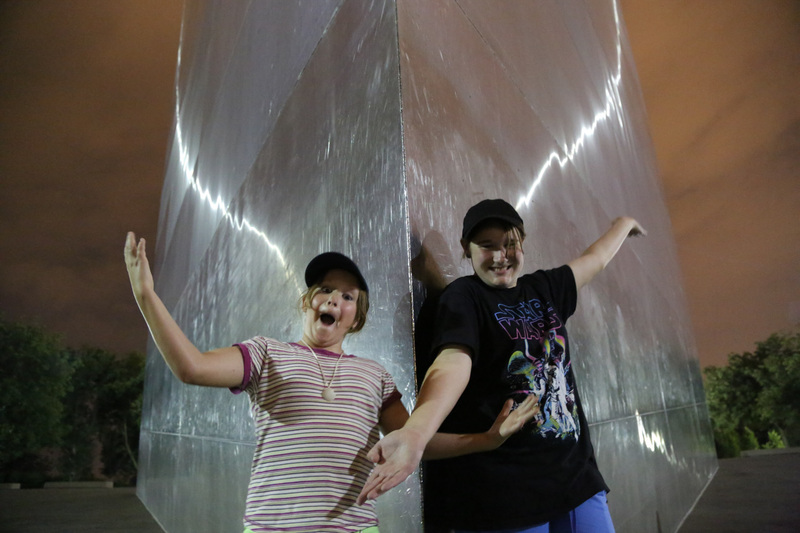 They were blown away by how smooth the ride was and all the things they learned/ experienced while in this incredible landmark!